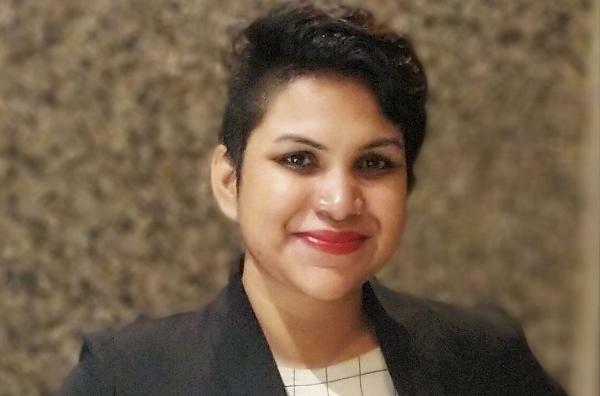 Maitrayee Sanyal has been promoted to local general counsel (GC) at mobile phone maker OnePlus, India, earlier this year. Sanyal - currently the only lawyer in the company’s India legal function - is reporting from Bangalore to the global legal team in Shenzhen, China. She is a 2014 Christ University graduate, who had begun her career at Accenture, followed by nearly a year as immigration counsel at Mu Sigma and 11 months as legal specialist at NestAway Technologies. In July 2018, she had joined OnePlus as “technical lead” India, and in January of this year her designation was enhanced to the general counsel designation after a performance review, she explained. “I have been very grateful to them for their consideration and I would like to believe that I am being a good resource to them,” she commented. Sanyal’s work as OnePlus GC includes a mix of negotiation, advisory on various aspects of the media laws, labour law evaluation and “subsequent explanation of the same to the relevant stakeholders”, as well as consumer protection laws, aspects of intellectual property and general corporate advisory, she said. She said that OnePlus used a mix of reputed, experienced law firms in India, as well as “newer but efficient” firms. OnePlus started its first India R&D facility in Hyderabad in late last year, and became India’s top-selling premium mobile phone maker last year, beating older rivals Apple and Samsung. Congratulations Maitrayi. SLCU is proud of you. At least one recognisable alumni. This will open the eyes of so-called tier I law firms who say they "have never heard" of SLCU. Sigh, stop with the self pity. Christ has tons of 'recognisable alumni'. There isn't a single tier I law firm that doesn't have someone from Christ. If someone's telling you that they haven't heard of the law school, they're yanking your chain. There are at least 4 GCs and senior legal officers in top Indian companies and MNCs from Christ. There are also a couple of law firm partners (well - not tier I or II), a judge (last I checked), a couple of entrepreneurs, government counsels, policy folks and hardworking litigators. They are all doing very good for themselves, Christite. As it is said - law school/ college does not matter. Just keep updating yourself and keep working hard. As for Maitrayee - congratulations. Legally India, can you change the story headline to include Christ University's name too, on the heading. Understand that you always follow this pattern, when a person graduates from NLS or any national law university. One genuine question. How much does she make? Is it worth quitting a tier 1 Law Firm Sr. Associate role for an in-house / GC role? @Maitrayee: Can you please answer this one (anonymously, off course). Christ law school had very good placements this year. Probably you can get in touch with the RCC committee, get the data and publish it.